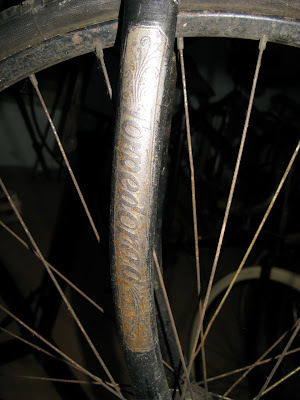 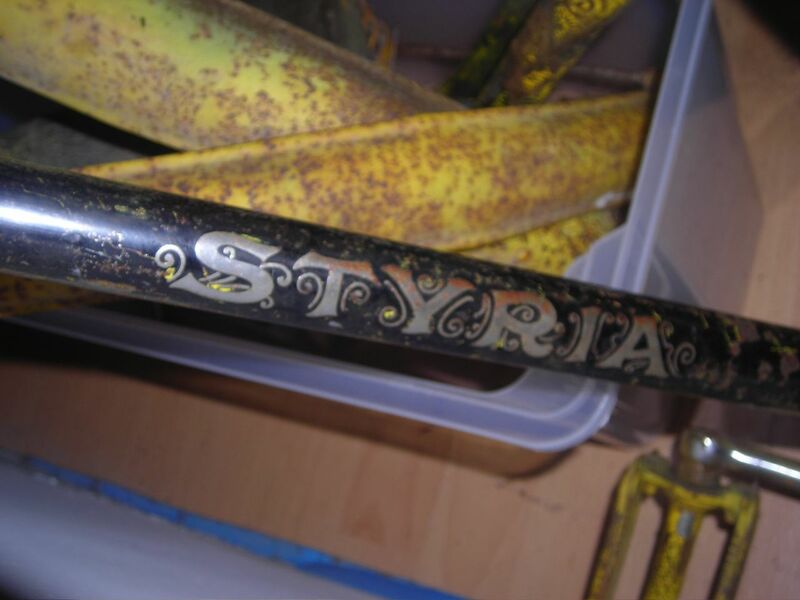 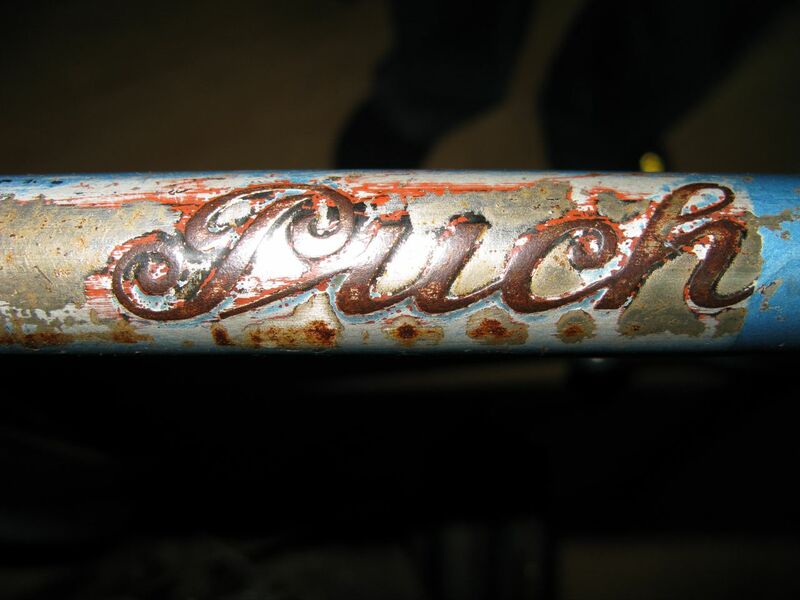 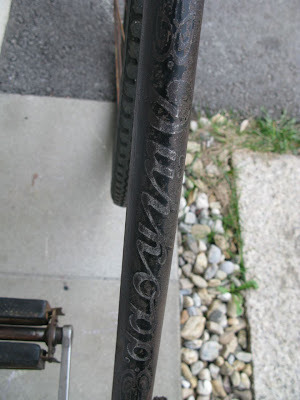 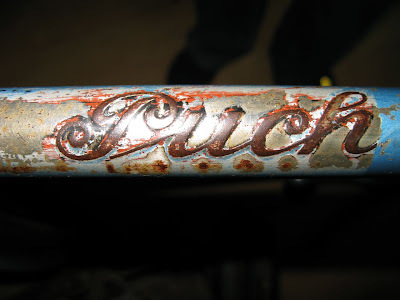 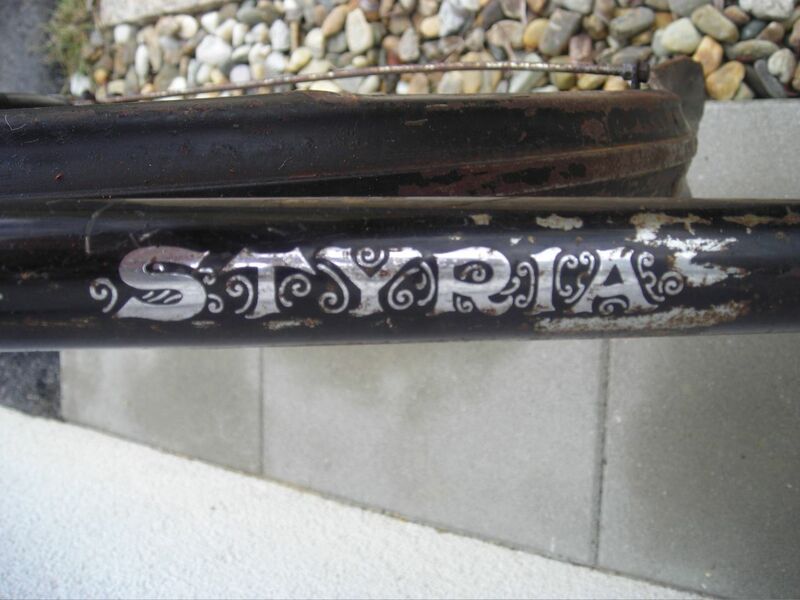 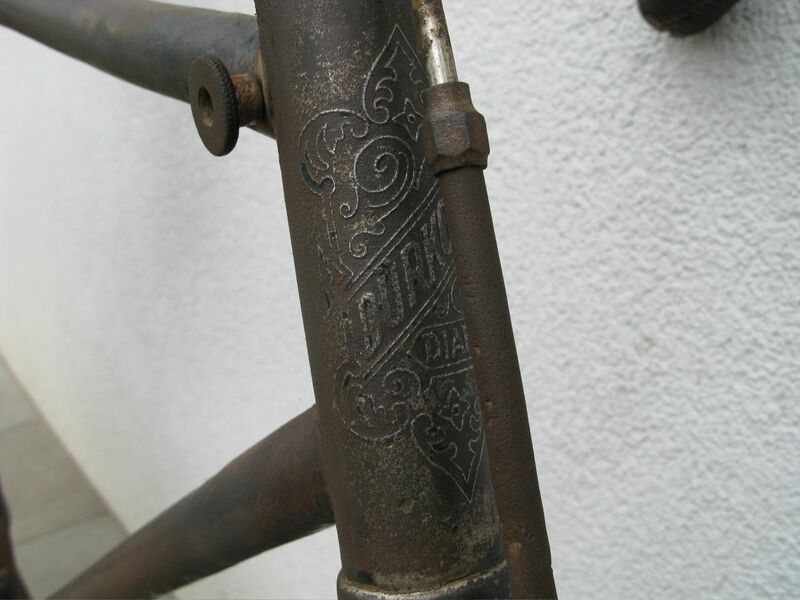 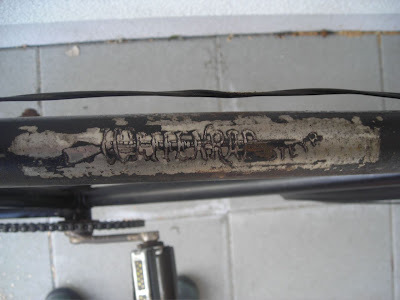 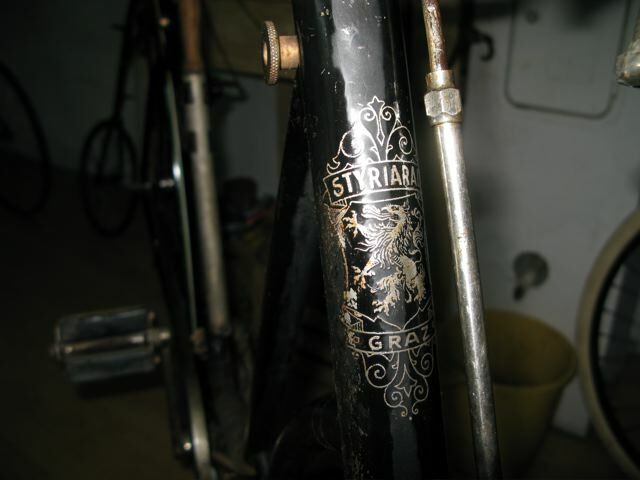 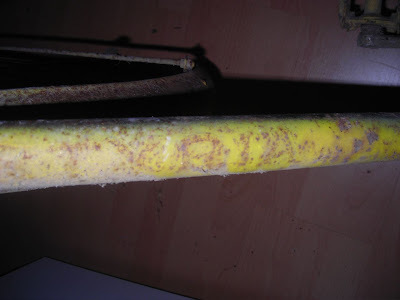 Something that can be found on german, austrian or czech bikes (especially austrian and czech) are etchings. 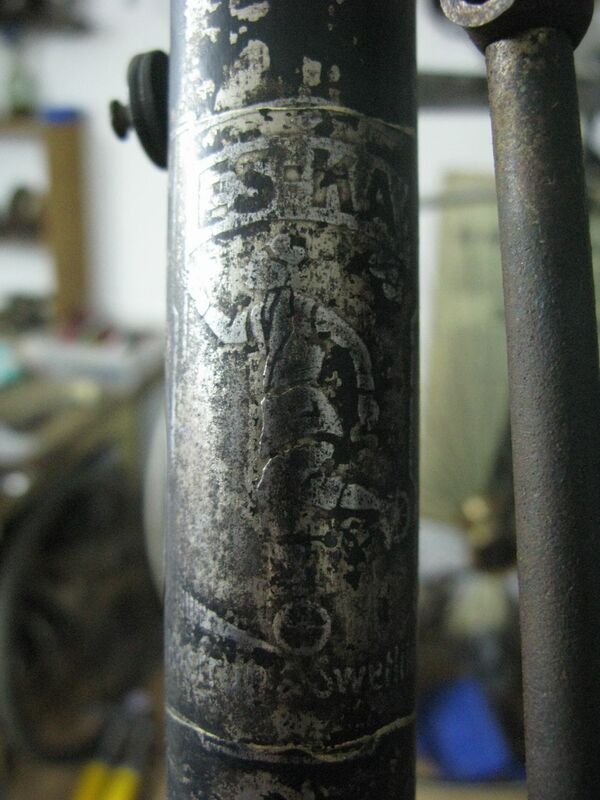 Etchings are usually placed on the frame, on the fork and of course on the chainwheel. 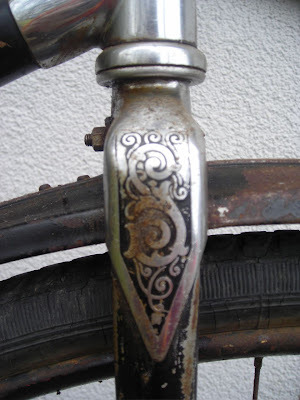 In a difficult process including colouring, nickel-plating, usings stencils etc the pattern is etched into the metal. Usually the etching contains the name of the producer and art nouveau typical floral designs. 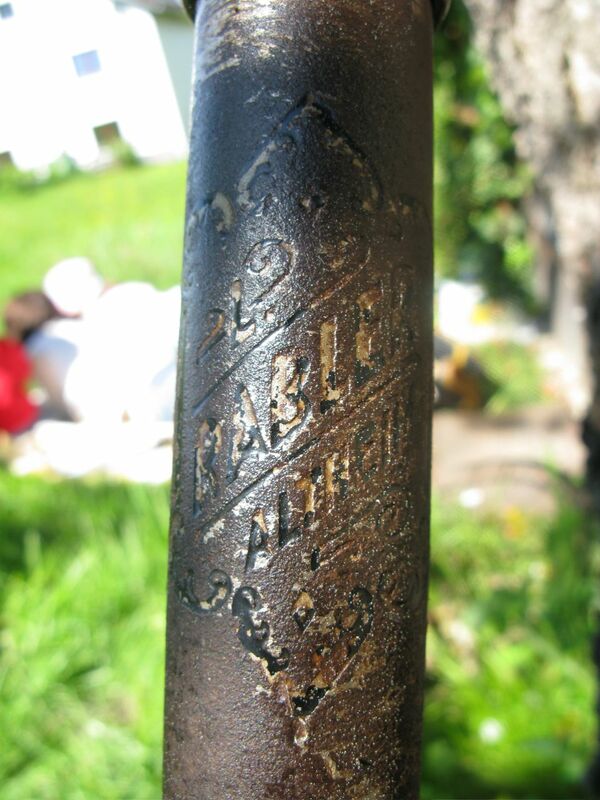 Sometimes the etchings were used instead of a headbadge, like L.Rabler, Altheim - see picture. 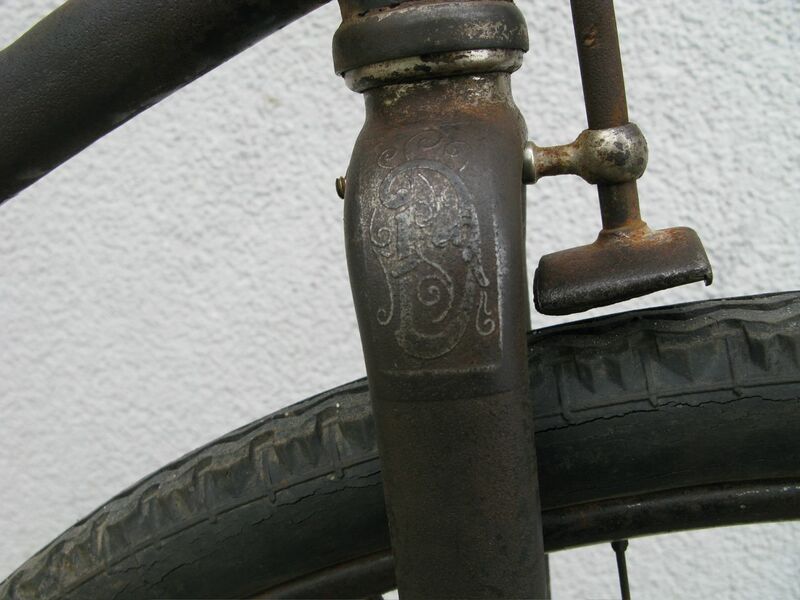 Etchings were modern on bicycles from around 1900 to 1935 and are rather rare and sought after. 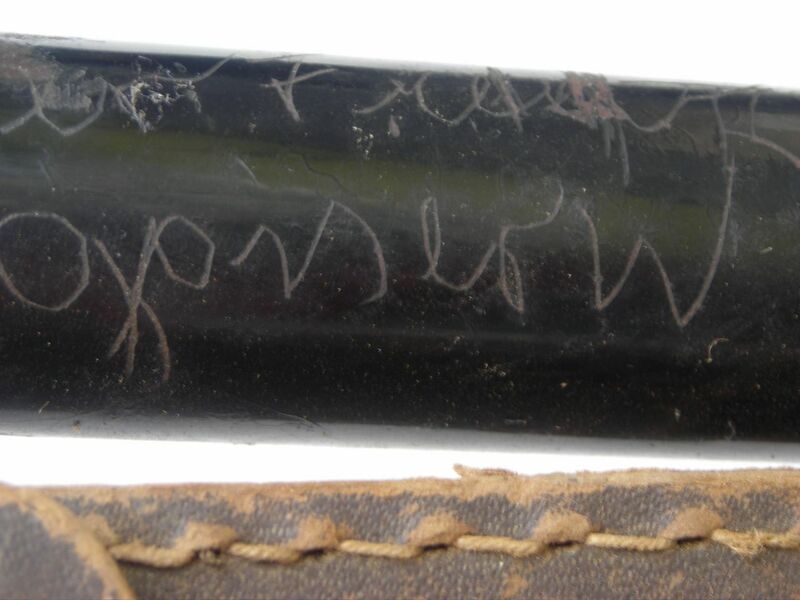 Often etchings are hard to find.